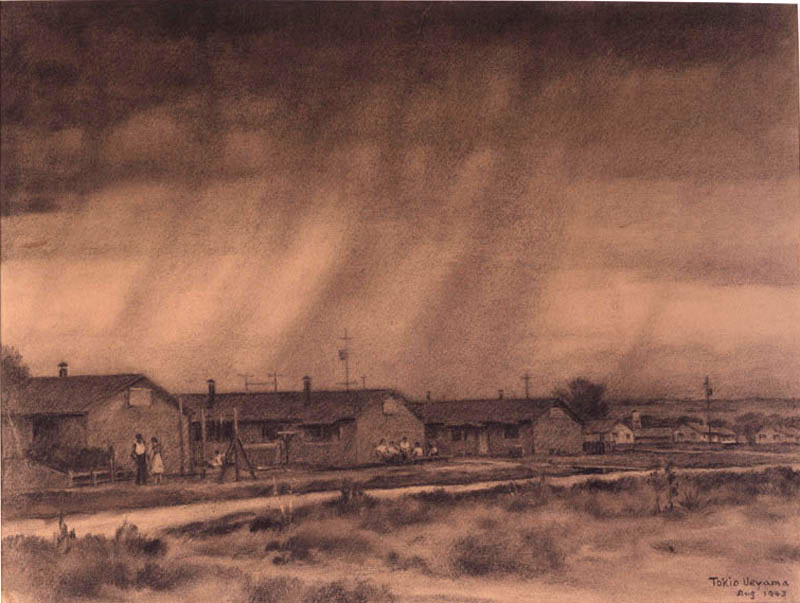 Amache was built on a dusty hilltop in southeastern Colorado, near the town of Granada. Like other camps, it was built from scratch, on land that was empty of buildings and devoid of infrastructure. 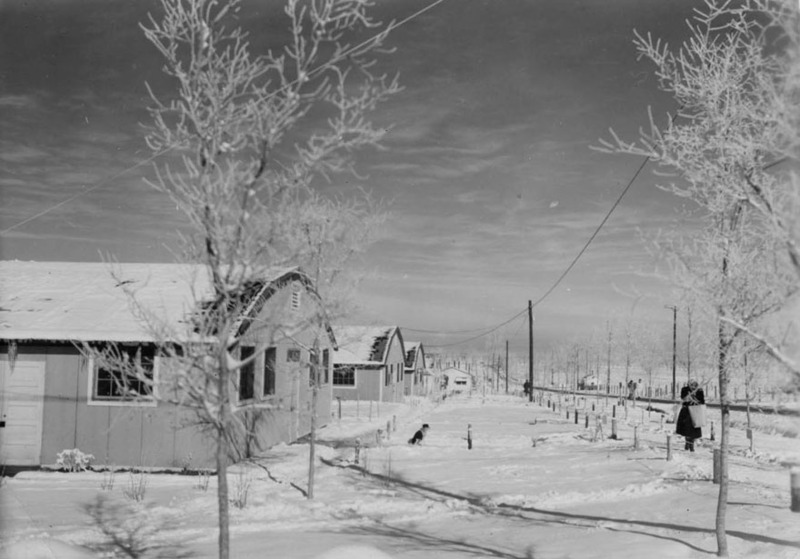 Yet within months of opening, it became, in effect, a city, with the largest population in the area. It had police and fire departments, a 150-bed hospital, a public library, a newspaper, and stores. 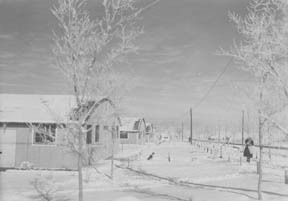 Though Amache was the smallest of the concentration camps, housing 7,597 at its peak, it was the tenth largest city in Colorado. 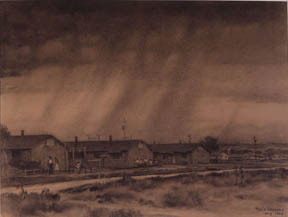 The War Relocation Authority (WRA), the civilian organization tasked with managing the camps, provided jobs for about half the inmates at Amache, who ran most of the camp’s day-to-day affairs. Wages were $12 per month for unskilled labor, $16 per month for skilled labor, and $19 per month for professionals such as doctors. 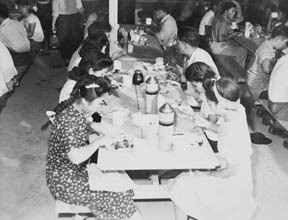 These were meager wages indeed, but local communities hard-hit by the Great Depression were often resentful that the government was providing jobs for inmates at all. 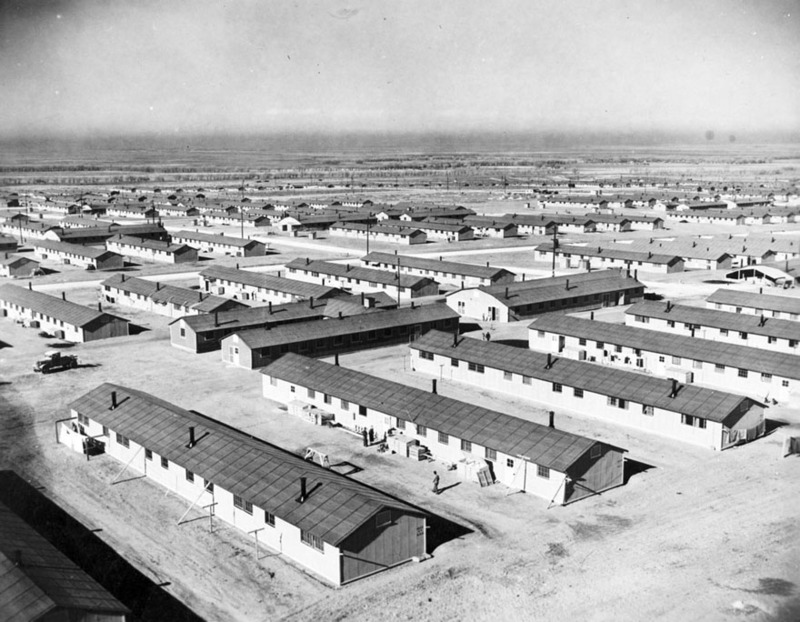 The WRA tried to quell the public’s rancor in the brochures it distributed about the camps, emphasizing inmates’ hard work and sacrifice, and the camps’ overall productivity. The guys were in bib overalls, the teenagers were in bib overalls, red bandana on the neck, and a straw hat. And clod hoppers. For us, what was this? Some of our guys were wearing zoot suits. And I wondered, why didn’t they keep the city folks together? And then it hit me. We [city folk] were just fill. They wanted the farmers to farm all that land, ’cause those central California farmers were superb farmers. In fact, Amache farmers raised bumper crops of alfalfa, corn, and sorghum, as well as lettuce, celery, spinach, onions, and lima beans. 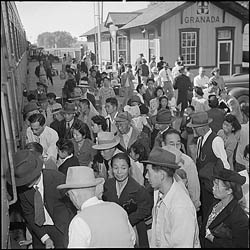 They grew so much food during the wartime shortage, that they were able to export railroad carloads of grain and produce. Min Tonai, interview by Tom Ikeda, September 2, 2010, Densho Visual History Collection, Densho. Amache administration building. Gift of the Yamamoto Family (98.54.8).